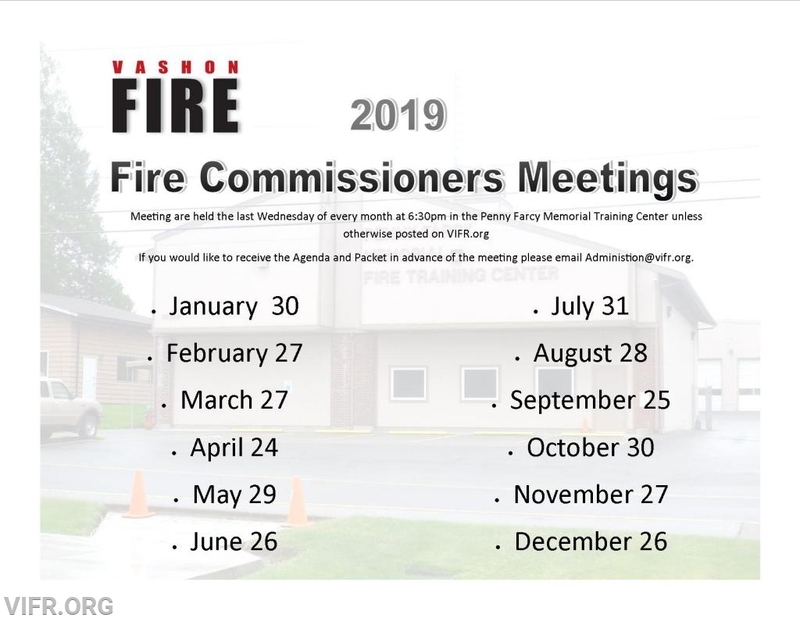 Regular Board of Commissioners meetings typically will be held on the last Wednesday of the month at the Penny Farcy Training Facility located at 10019 SW Bank Road, Vashon in the new Emergency Operations Center (EOC) formerly the "Large Class Room". Meetings start at 6:30 p.m. unless otherwise posted and the public is warmly invited to attend. To receive the agenda in advance of the meeting, send an email to Administration@vifr.org .